Sign one camper up for just $200 for the whole week and get any second camper for only $100!!! Bring a friend, a sibling, a cousin, or the kid down the street; buy one get one half off. Don't miss out; this week will be a bash! 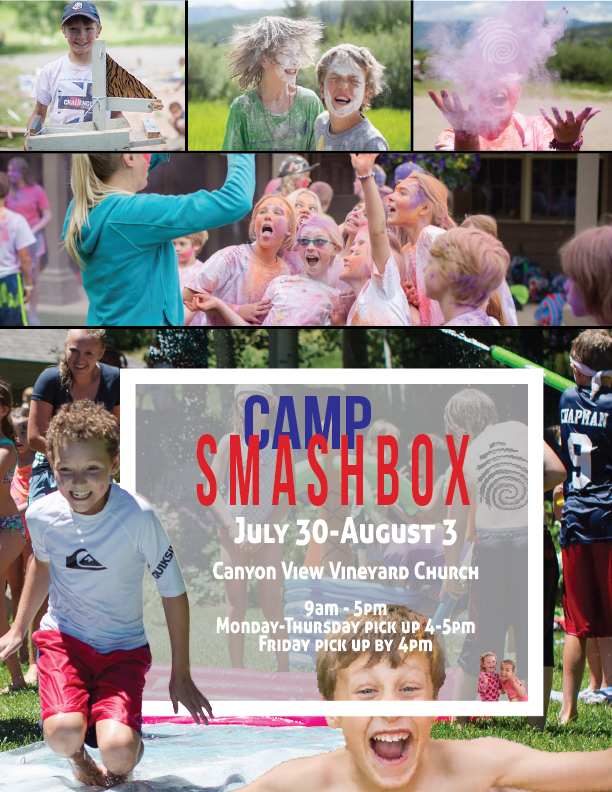 E-mail Jenna@campsmashbox.com with questions and for more information.